While advocates in New York City are pressing the mayor and governor to invest more in NYCHA, commit to deeper affordability, and end homelessness, the federal government is moving forward with a tax overhaul that could undermine these ambitions. On Friday, Republicans released a reconciled version of the Senate and House tax bills. A vote on the final measure is expected this week. If approved, the consequences for the country could be enormous, but the full range of impacts is still poorly understood, and policy analysts are working to determine what we can expect. Thanks to the federal disinvestment in affordable housing over the decades, most affordable housing production is financed today with a mix of tax credits and bonds sold to private investors. The tax bill has the potential to negatively impact one of the most important tools: Low Income Housing Tax Credits (LIHTC). These are allocated by state and local governments to specific affordable housing projects, and investors then purchase the credits for tax relief, thereby paying for the affordable housing project. If corporations are facing lower tax rates, LIHTC is no longer as valuable. The final bill lowers the corporate tax rate from 35 to 21 percent. Michael Novogradac of Novogradac and Company, a public accounting and consulting firm, estimates that the reduction of the corporate tax rate will result in a roughly 14 percent reduction in the equity generated by LIHTC. Mayor de Blasio’s office earlier said that a reduction in the corporate tax rate from 35 to 20 percent (as stated in the House and Senate bills) would cost New York City $200 million a year. To put that in perspective: In 10 years that’s $2 billion. The mayor’s original 10-year, $41 billion housing plan included a $4.95 billion contribution from tax credit equity. The final federal tax reform bill, though cutting the corporate tax to 21 percent instead of 20 percent, still could cost the city billions in financing over time. To the great relief of advocates, one of the potentially more devastating aspects of the House bill is absent from the final bill: making the interest on private activity bonds no longer tax-exempt. That move would have also made it impossible to use one kind of tax credit called LIHTC-4 percent when building rental housing, which together would have translated into a loss of $2.6 billion annually in loans and tax credit equity for New York City’s housing plan, according to the de Blasio administration. That change, thankfully, has been averted. The final bill does, however, include a few other changes to the rules governing tax credits and bonds that could hurt the availability of resources for affordable housing. To save itself money, the federal government is eliminating “advance refundings.” That change will make it more difficult for local governments to refinance their bonds in order to take advantage of lower interest rates. It’s also imposing new rules related to Historic Tax Credits, used to fund rehabilitation projects in historic buildings, that could make those credits slightly less valuable, and is eliminating the nonhistoric rehabilitation tax credit that assists rehabilitations in buildings built prior to 1936. 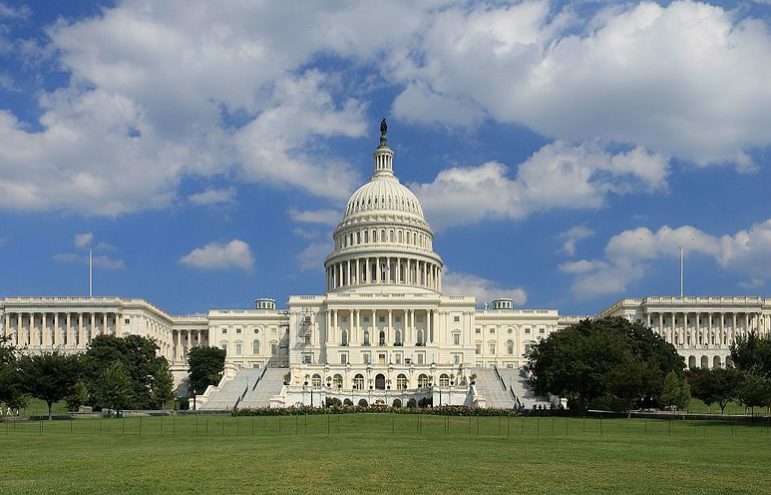 The bill imposes a new tax called the Base Erosion and Anti-Abuse Tax, which is designed to prevent tax evasion by companies with overseas affiliates, but the tax comes with rules that could cause some companies to disinvest in LIHTCs. And the way the bill changes how inflation is calculated could also lead to a loss of affordable rental units over time. The tax bill will add a $1.46 trillion debt over ten years, which under Congress’s pay-as-you-go law will trigger automatic spending cuts equal to $146 billion each year for ten years. Republicans have said they plan to pass an exemption preventing such automatic cuts, but that will depend on the cooperation of Democrats. If those automatic cuts do take into effect, there would be reductions across a range of programs. Medicare would be especially hard hit, but the federal Department of Housing and Urban Development (HUD) would also face some cuts, according to the Times. In 2018, there could be a $220 million cut to the Housing Trust Fund, which provides grants to states to build and preserve rental housing that mostly targets households making below $25,770 for a family of three, and which advocates say is already underfunded. There would be a $2 million cut to the Rental Housing Assistance Fund and a $3360 million cut to the Affordable Housing Program. Whether or not those automatic spending cuts take effect, budget talks are looming. The Trump administration has already proposed addressing the federal deficit—which is only growing—through a range of spending cuts, including a 15 percent cut of HUD’s budget compared to 2017 that would completely eliminate crucial funding sources for New York City affordable housing initiatives like the Community Development Block Grant program, as well as greatly reduce the availability of Section 8 subsidies and slash NYCHA’s capital and operating budget. Neither of the bills approved by the House and by the Senate appropriations committee include such drastic cuts, but advocates are still concerned, especially given that the cost of providing housing assistance is only increasing as rents increase. One of the greater frustrations for housing activists is that while they have long called for the reduction of a tax benefit that goes to primarily affluent homeowners—the mortgage-interest deduction—with the hope that new revenues could be reinvested in low-income housing, Republicans are reducing that tax benefit to offset tax cuts but without reinvesting anything in low-income housing. Currently, homeowners are allowed to deduct interest on up to $1 million in mortgage interest; in the House bill, homeowners were only allowed to deduct interest on up to $500,000, and the final bill compromises at $750,000. Karen Haycox, CEO of Habitat for Humanity New York City, says that what most concerns her is how quickly the tax overhaul is moving toward approval and the degree to which the potential impacts of the bill remain unknown. “The fact is that we still don’t know what is in this bill and what the real-life consequences will be for the sector, our organization, and the families we serve. No one does,” she said in an e-mail to City Limits prior to the release of the final bill last week. A single change in the tax code can have a wide array of impacts. For instance, the doubling of the allowable standard deduction might seem like a Christmas present to some, but nonprofits point out that it means more middle- and upper-class people will choose to take that standard deduction on their taxes rather than itemize their deductions. And if they’re not itemizing their deductions, they’ll have less of a financial incentive to give to charity. Nonprofit finances, including organizations like Habitat for Humanity, could see a reduction in donations. How the bill will affect low-income people’s financial well-being will, of course, play a role in their ability to afford basic necessities like shelter. And while Republicans point to the fact that all income brackets will receive a tax cut, and that the bill includes benefits for low-income families like a larger child tax credit and a better deduction for medical expenses, others note that low-income families will be hurt by the changes in the way the bill calculates inflation. Undocumented families will also be impacted by a requirement that families taking a child tax credit provide a Social Security number. Potential future spending cuts to programs that benefit low-income families will also, of course, affect the bill’s overall merits for low-income families. Some elements of the bill will make New York State a less attractive place to live for high-income people—and exactly how that will affect the affordability crisis in the city is also unclear. In a blow to New York and other states with high local taxes, the federal bill limits state and local property tax deductions from federal taxes to $10,000. Some Democratic state lawmakers fear that it will be politically more difficult to pass higher taxes on the wealthy now that it’s impossible for New York State residents to take those reductions on their federal taxes. Others say that New York State must still find a way to raise taxes on the wealthy in order to ensure the state’s low-income population do not suffer from devastating spending cuts to housing initiatives and a whole range of other assistance programs. Furthermore, the reduction of the allowable deduction for local and state property taxes, the doubling of the standard deduction and the lowering of the mortgage-interest deduction are all policies that will reduce incentives for people to buy expensive homes. There is a great deal of uncertainty about how this will affect the homeownership market—and in turn, the rental market—over time. Some analysts are predicting that the changes will actually bring home prices down—a good thing for buyers—but others are warning that it will cause people to hold onto their homes in some areas, causing prices to rise. The one thing that’s clear is who wins: corporations, especially the real-estate industry. Among other benefits, the bill lowers taxes on “pass-through” income, a benefit that applies to limited liability companies, Real Estate Investment Trusts and other sorts of partnerships used by big developers and investors. With the threshold for the estate tax increased, real-estate dynasties that own estates worth more than $5.6 million but less than $11.2 million will no longer have to pay that tax. The Trump administration argues that these corporate subsidies will boost the economy, but analysts of earlier bills have already projected there will be far less growth over time than the administration predicts. Manhattan Borough President Gale Brewer will be holding a “teach-in” on the federal tax bill on Wednesday, December 20 at 6 p.m., 524 West 59th Street. It is nice that you are trying to help low income people afford housing but this is a Local and State issue and NOT a Federal issue that taxes paid by citizens in other states need to be funding. New York has some of the richest people living there so between the State and Local-City governments, they need to figure this out and not rely on money from the Federal government. New York has one of the highest taxation bases so it would be logical to say they need to look more closely at the spending budgets and reduce or stop some of their programs if their State can’t afford to fund it own their own. Fair points, except for the factual parts: New York City and state send a lot more money to the federal government than they received in return. If anything, NY is subsidizing other states, not vice versa. Reducing deductibility will only exacerbate that disparity. What! Undocumented families wont be able to claim a tax break without an SSN! What a tragedy, if they even file for taxes. I guess they could just go home and stop mooching off of the American Tax payer, CA is on the verge of total implosion already so what will they do when even CA cannot pay for such benefits????? Many illegals used made up SSNs which sometimes legitimately belong to other people causing identity theft nightmares for innocent Americans. But let’s just keep on giving them ‘sanctuary’.